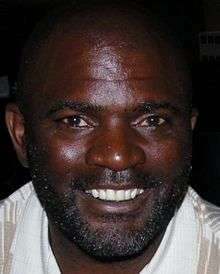 Lawrence Taylor is one of three Giants first-round draft picks to be voted into the Pro Football Hall of Fame. The New York Giants are a National Football League (NFL) franchise founded in the 1925 season, the NFL's sixth. Eleven years later, the league introduced the NFL draft after team owners voted on it in 1935. The intention of the draft was to make the NFL more competitive, as a few stronger teams, including the Giants, had an advantage in signing young players because they were able to offer higher salaries and an opportunity to compete for championships. Since that first draft, the Giants have selected 73 players in the first round. The team's first-round pick in the inaugural NFL draft was Art Lewis, a tackle from Ohio University; he was the 9th overall selection. In the most recent draft, held in 2016, the Giants chose Ohio State cornerback Eli Apple. Officially known as the "NFL Annual Player Selection Meeting", but more often called the NFL draft, the event is the NFL's primary mechanism for distributing newly professional players finished with their college football careers to its teams. The draft order is determined based on the previous season's standings; the teams with the worst win–loss records receive the earliest picks. Teams that qualified for the NFL playoffs select after non-qualifiers, and their order depends on how far they advanced. The final two selections in the first round are reserved for the Super Bowl runner-up and champion. Draft picks are tradable, and players or other picks can be acquired with them. Of the 72 players drafted by the Giants in the first round, 26 played at one of the running back positions. Of these, 10 were halfbacks and six were fullbacks, and the remaining 10 are credited as backs, blocking backs, or running backs. Among other frequently drafted positions, the Giants have chosen eight defensive backs, eight offensive tackles, six defensive ends, five wide receivers, four defensive tackles, and four quarterbacks. Five of the Giants' first-round picks attended the University of Notre Dame, more than any other college. Four picks came from Miami, while seven universities have had three players selected. The Giants have held the first overall pick twice, in 1951 and 1965, selecting Kyle Rote and Tucker Frederickson. Three of the team's first-round picks—George Connor, Frank Gifford, and Lawrence Taylor—have been elected to the Pro Football Hall of Fame. The Giants did not draft a player in the first round that year. 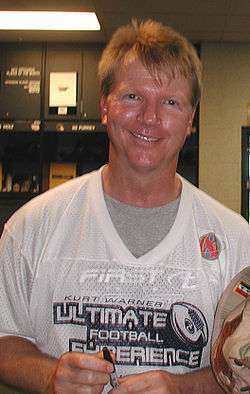 Phil Simms was the Giants' first-round pick in 1979. Carl Banks was one of the Giants' first-round picks in 1984. Rodney Hampton was the Giants' first-round pick in 1990. Philip Rivers, who was traded by the Giants to the San Diego Chargers after they selected him fourth overall in 2004. Jason Pierre-Paul was the Giants' first-round pick in 2010. Beckham, Jr., OdellOdell Beckham, Jr.
a From 1947 to 1958, the NFL held an annual lottery that decided which team would select first overall in the draft with a "bonus pick". The Giants won the bonus lottery in 1951, giving them the first choice in that year's draft. b The 1951 draft was the second in which Spavital was selected. The Chicago Cardinals had chosen him in the first round of the 1948 draft. Spavital was one of 28 Baltimore Colts players who became eligible for the 1951 draft when that franchise became defunct. c The Giants traded their 1954 first-round draft pick to the Green Bay Packers. d The Giants traded their 1956 first-round draft pick to the Los Angeles Rams. e In 1956, the Giants traded their 1957 first-round draft pick to the Rams in exchange for defensive end Andy Robustelli. f In 1959, the Giants traded their 1961 first-round draft pick to the Baltimore Colts in exchange for quarterback George Shaw. The Colts later traded the selection to the San Francisco 49ers for end Dee Mackey. g In 1961, the Giants acquired a second 1962 first-round draft pick from the Minnesota Vikings in exchange for George Shaw, then traded the selection to the Rams for wide receiver Del Shofner. h In 1962, the Giants traded their 1963 first-round draft pick to the St. Louis Cardinals, along with Bill Triplett, in exchange for quarterback Ralph Guglielmi. i1 i2 The Giants had been awarded the first overall pick as compensation for the New York Jets joining the NFL as part of the league's merger with the American Football League. The choice was conditional upon the Giants selecting a quarterback; the team was allowed to trade the pick, if they received a starting quarterback in return. In 1967, the Giants traded their 1967 and 1968 first-round draft picks, their 1967 second-round pick, and a player to be named later to the Vikings in exchange for quarterback Fran Tarkenton. The New Orleans Saints were ultimately given the first overall pick in 1967 (before trading it to the Colts), dropping the Giants' former selection to second. j In 1971, the Giants traded their original 1972 first-round draft pick to the Chicago Bears in exchange for center Bob Hyland and cornerback Bennie McRae. This pick was acquired from the Vikings, along with running back Vince Clements, center Bob Grim, quarterback Norm Snead, and a second-round pick in the 1973 draft, in exchange for Tarkenton. k In 1972, the Giants traded their 1973 first- and second-round draft picks to the Cleveland Browns in exchange for defensive end Jack Gregory and defensive back Freddie Summers. l In 1974, the Giants traded their 1975 first-round draft pick to the Dallas Cowboys in exchange for quarterback Craig Morton. m This pick was acquired from the Washington Redskins in exchange for second- and fifth-round draft picks. n The Giants selected quarterback Dave Brown in the first round of the 1992 supplemental draft, and as a result forfeited their 1993 first-round draft pick. o During the 2001 draft, the Giants acquired this pick from the Indianapolis Colts in exchange for their original first-round selection (30th in the draft) and picks in rounds three and six. p During the 2002 draft, the Giants acquired this pick from the Tennessee Titans in exchange for their original first-round selection (15th in the draft) and a fourth-round pick. q1 q2 After drafting Rivers, the Giants traded him to the San Diego Chargers, along with their 2004 third-round pick and 2005 first- and fifth-round choice, in exchange for quarterback Eli Manning, the first overall pick. r During the 2006 draft, the Giants acquired this pick from the Pittsburgh Steelers, along with third- and fourth-round selections, in exchange for their original first-round choice (25th in the draft). Cavanaugh, Jack (2008). Giants Among Men: How Robustelli, Huff, Gifford, and the Giants Made New York a Football Town and Changed the NFL. Random House. ISBN 978-1-4000-6717-6. Dillman, Bradford (1994). Inside the New York Giants: A Player Review and Rating System 1967–1994. Third Story Books. ISBN 978-1-884506-16-1. "History: Pro Football Hall Of Famers By Draft Round". Pro Football Hall of Fame. Retrieved May 1, 2014. Huff, Sam (1989). Tough Stuff: The Man in the Middle. Macmillan Publishers. ISBN 978-0-312-91700-5. MacCambridge, Michael (2004). America's Game: The Epic Story of How Pro Football Captured a Nation. Random House. ISBN 978-0-375-50454-9. Maxymuk, John (2007). Strong Arm Tactics: A History and Statistical Analysis of the Professional Quarterback. McFarland & Company. ISBN 978-0-7864-3277-6. New York Football Giants 2013 Information Guide (PDF). New York Giants. 2013. Retrieved May 4, 2014. "New York Giants Draft History". Pro Football Reference. Retrieved May 2, 2014. Whittingham, Richard (2005). Illustrated History of the New York Giants. Triumph Books. ISBN 978-1-57243-641-1. ↑ "AFL Stars Among Former NFL Draftees". Arena Football League. April 25, 2013. Retrieved May 2, 2014. 1 2 Stewart, Lisa (April 25, 2012). "NFL Draft Basics: Top 5 Things to Know". Yahoo! Sports. Retrieved May 2, 2014. 1 2 "Patriots hold five selections in 2013 NFL Draft". New England Patriots. April 5, 2013. Retrieved May 2, 2014. ↑ "New York Giants Draft History". Pro Football Reference. Retrieved May 2, 2014. 1 2 Whittingham, p. 145. 1 2 Whittingham, pp. 166–168. ↑ Serby, Steve (April 24, 2014). "Eli Manning revisits drama of the draft day that changed Giants history". New York Post. Retrieved May 3, 2014. 1 2 Maule, Tex (February 7, 1972). "Scramble Back To The Deep Purple". Sports Illustrated. Retrieved May 3, 2014. ↑ "Pro Football Draft History: 1936". Pro Football Hall of Fame. Retrieved March 29, 2014. ↑ "Pro Football Draft History: 1937". Pro Football Hall of Fame. Retrieved March 29, 2014. ↑ "1938 NFL Draft". Pro Football Reference. Retrieved March 29, 2014. ↑ "1939 NFL Draft". Pro Football Reference. Retrieved March 29, 2014. ↑ "1940 NFL Draft". Pro Football Reference. Retrieved March 29, 2014. ↑ "1941 NFL Draft". Pro Football Reference. Retrieved April 2, 2014. ↑ "1942 NFL Draft". Pro Football Reference. Retrieved April 2, 2014. ↑ "1943 NFL Draft". Pro Football Reference. Retrieved April 2, 2014. ↑ "1944 NFL Draft". Pro Football Reference. Retrieved April 2, 2014. ↑ "1945 NFL Draft". Pro Football Reference. Retrieved April 2, 2014. ↑ "Pro Football Draft History: 1946". Pro Football Hall of Fame. Retrieved April 2, 2014. ↑ "1947 NFL Draft". Pro Football Reference. Retrieved April 2, 2014. ↑ "1948 NFL Draft". Pro Football Reference. Retrieved April 2, 2014. ↑ "1949 NFL Draft". Pro Football Reference. Retrieved April 2, 2014. ↑ "1950 NFL Draft". Pro Football Reference. Retrieved April 2, 2014. ↑ "1951 NFL Draft". Pro Football Reference. Retrieved April 4, 2014. ↑ "1952 NFL Draft". Pro Football Reference. Retrieved April 4, 2014. ↑ "Pro Football Draft History: 1953". Pro Football Hall of Fame. Retrieved April 4, 2014. ↑ "Pro Football Draft History: 1954". Pro Football Hall of Fame. Retrieved April 4, 2014. ↑ "1955 NFL Draft". Pro Football Reference. Retrieved April 5, 2014. ↑ "Pro Football Draft History: 1956". Pro Football Hall of Fame. Retrieved April 5, 2014. ↑ "Pro Football Draft History: 1957". Pro Football Hall of Fame. Retrieved April 5, 2014. ↑ "1958 NFL Draft". Pro Football Reference. Retrieved April 5, 2014. ↑ "Pro Football Draft History: 1959". Pro Football Hall of Fame. Retrieved April 5, 2014. ↑ "1960 NFL Draft". Pro Football Reference. Retrieved April 5, 2014. ↑ "Pro Football Draft History: 1961". Pro Football Hall of Fame. Retrieved April 5, 2014. ↑ "1962 NFL Draft". Pro Football Reference. Retrieved April 5, 2014. 1 2 "Pro Football Draft History: 1963". Pro Football Hall of Fame. Retrieved April 5, 2014. ↑ "1964 NFL Draft". Pro Football Reference. Retrieved April 5, 2014. ↑ Costello, Brian (April 24, 2005). "Whatever Happened To ... Tucker Frederickson". New York Post. Retrieved April 5, 2014. ↑ "Pro Football Draft History: 1966". Pro Football Hall of Fame. Retrieved April 9, 2014. 1 2 "Pro Football Draft History: 1967". Pro Football Hall of Fame. Retrieved April 9, 2014. ↑ "Pro Football Draft History: 1968". Pro Football Hall of Fame. Retrieved April 9, 2014. ↑ "1971 NFL Draft". Pro Football Reference. Retrieved April 10, 2014. 1 2 "1972 NFL Draft". Pro Football Reference. Retrieved April 10, 2014. ↑ "Pro Football Draft History: 1973". Pro Football Hall of Fame. Retrieved April 10, 2014. ↑ "Pro Football Draft History: 1975". Pro Football Hall of Fame. Retrieved April 12, 2014. ↑ Marshall, Joe (May 15, 1978). "It Was The Same Old Song And Dance". Sports Illustrated. Retrieved April 12, 2014. ↑ Janofsky, Michael (May 2, 1984). "Focus Is On Defense In the N.F.L. Draft". The New York Times. Retrieved April 12, 2014. ↑ Oates, Bob (May 1, 1985). "NFL Draft: USC's Bickett, Ruettgers Taken Early as Teams Put Their Picks on the Line". Los Angeles Times. Retrieved April 13, 2014. 1 2 Dillman, p. 100. ↑ Branch, John (April 29, 2006). "Never a Featured Back, Not Yet on the Marquee". The New York Times. Retrieved April 15, 2014. ↑ "NFL Draft – Team By Team". Tulsa World. April 28, 1992. Retrieved April 15, 2014. ↑ "Pro Football Draft History: 1993". Pro Football Hall of Fame. Retrieved April 15, 2014. ↑ "1994 Nfl Draft". Hartford Courant. April 25, 1994. Retrieved May 9, 2016. ↑ "Pro Football Draft History: 1995". Pro Football Hall of Fame. Retrieved April 16, 2014. ↑ Schwartz, Paul (April 19, 2010). "Jones pick burned Giants". New York Post. Retrieved April 16, 2014. ↑ "Pro Football Draft History: 1997". Pro Football Hall of Fame. Retrieved April 16, 2014. ↑ "Pro Football Draft History: 1998". Pro Football Hall of Fame. Retrieved April 16, 2014. ↑ "Giants surprise with OT Luke Petitgout". Sports Illustrated. Associated Press. April 17, 1999. Retrieved April 16, 2014. ↑ Darcy, Kieran (October 29, 2011). "Great Dayne". ESPN New York. Retrieved April 18, 2014. ↑ "Pro Football Draft History: 2001". Pro Football Hall of Fame. Retrieved April 18, 2014. ↑ Canavan, Tom (April 20, 2002). "To No One's Surprise, Giants Draft Jeremy Shockey". Miami Hurricanes. Associated Press. Retrieved April 18, 2014. ↑ "Pro Football Draft History: 2003". Pro Football Hall of Fame. Retrieved April 18, 2014. ↑ "Pro Football Draft History: 2004". Pro Football Hall of Fame. Retrieved April 18, 2014. ↑ "Pro Football Draft History: 2005". Pro Football Hall of Fame. Retrieved April 18, 2014. ↑ "2006 NFL Draft". Pro Football Reference. Retrieved April 18, 2014. ↑ "2007 NFL Draft". Pro Football Reference. Retrieved April 18, 2014. ↑ "2008 NFL Draft". Pro Football Reference. Retrieved April 18, 2014. ↑ "2009 NFL Draft". Pro Football Reference. Retrieved April 23, 2014. ↑ Caldwell, Dave (April 22, 2010). "Giants Add Acrobatic End to Defense". The New York Times. Retrieved April 23, 2014. ↑ "2011 NFL Draft". Pro Football Reference. Retrieved April 23, 2014. ↑ Youngmisuk, Ohm (April 27, 2012). "Giants draft David Wilson in Round 1". ESPN New York. Retrieved April 23, 2014. ↑ Youngmisuk, Ohm (April 26, 2013). "Giants draft Justin Pugh at No. 19". ESPN New York. Retrieved April 23, 2014. ↑ Abramson, Mitch (May 9, 2014). "NFL Draft: NY Giants take LSU WR Odell Beckham Jr.". New York Daily News. Retrieved May 9, 2014. ↑ Pennington, Bill (April 30, 2015). "Giants Draft Ereck Flowers, Not the Offensive Lineman They Wanted". The New York Times. Retrieved May 1, 2015. ↑ Pennington, Bill (April 28, 2016). "In Eli Apple, Giants Add a Defensive Force With 10th Pick". The New York Times. Retrieved April 29, 2016. ↑ Kosakowski, Donald (1984). "Bonus Picks" (PDF). The Coffin Corner. 6 (9–10). Retrieved May 4, 2014. ↑ Ojeda, Francisco (July 30, 2014). "Spavital's not all talk, unless it's football". The Oklahoman. Retrieved July 4, 2016. ↑ "Giants Choose Rote as Top Draft Pick". The Daily Illini. Associated Press. January 19, 1951. pp. 6–7. Retrieved July 4, 2016. ↑ New York Football Giants 2013 Information Guide, p. 308. ↑ New York Football Giants 2013 Information Guide, p. 309. ↑ New York Football Giants 2013 Information Guide, p. 310. ↑ "Weeb Elated Over Selection Of Tom Matte". The Frederick News. Associated Press. December 28, 1960. p. 9. Retrieved July 25, 2016. ↑ "George Shaw Swapped To New Vikings By Giants". The Daytona Beach Sunday News-Journal. January 12, 1961. p. 6. Retrieved July 25, 2016. ↑ "Trade to Champion Giants Delights Veteran Guglielmi". The Spokesman-Review. May 11, 1962. p. 18. Retrieved July 25, 2016. ↑ Hershberg, Neil (September 14, 1971). "Giants, Bears in grid trade". The Bryan Times. United Press International. p. 10. Retrieved July 25, 2016. ↑ "Browns Trade Jack Gregory". Pittsburgh Press. June 16, 1972. p. 32. Retrieved July 25, 2016. ↑ Daly, Dan (March 14, 2012). "A look at all those Redskins No. 1s George Allen and Bobby Beathard traded away". The Washington Times. Retrieved May 6, 2014. ↑ "Giants choose Brown in supplemental draft". Hendersonville Times-News. July 10, 1992. p. 1B. Retrieved July 25, 2016. ↑ "Covering all the bases: Giants trade up to grab much-needed cornerback". CNN Sports Illustrated. Associated Press. April 21, 2001. Retrieved May 6, 2014. ↑ "2002 NFL Draft Trades – Saturday". CNN Sports Illustrated. Associated Press. April 21, 2002. Retrieved May 6, 2014. ↑ Hutchinson, Dave (December 5, 2013). "The Eli Manning–Philip Rivers trade revisisted". The Star-Ledger. Retrieved May 7, 2014. ↑ Youngmisuk, Ohm (April 23, 2011). "Moss, Kiwanuka tell story of 2006 draft". ESPN New York. Retrieved May 7, 2014.